Has The Honest Kitchen Ever Been Recalled? Yes, The Honest Kitchen has been recalled once. The recall was issued in 2013 for five lots of dehydrated Verve, Zeal, and Thrive pet foods. These products were recalled because one of their suppliers that provides parsley issued a recall for the parsley sold to The Honest Kitchen. The supplier believed that the parsley was contaminated with Salmonella. As a precautionary measure, The Honest Kitchen recalled five lots which contained the recalled parsley. After the incident, The Honest Kitchen decided to steam all leafy greens to eliminate pathogens moving forward. Next, they expanded their testing program for pathogens in leafy greens. Finally, they decided to no longer purchase any ingredients from the parsley supplier. The Honest Kitchen's response to the situation was professional, swift, and comprehensive. The Honest Kitchen announced a recall for five lots of Verve, Zeal, and Thrive dog food products. A potentially contaminated batch of parsley was used in the manufacturing of the affected products. Where Is The Honest Kitchen Pet Food Made? The Honest Kitchen is made in the USA. All products are manufactured inside human grade food processing facility. The facilities which produce The Honest Kitchen pet foods also make foods for human consumption. Many pet food brands claim to be human grade on their website, but the claims are nowhere to be seen on the packaging. That's because they cannot legally write "human grade" on the packaging unless they satisfy these two requirements. Must satisfy the "edible" FDA standard. Must be made within human food facilities. Many premium brands of pet food use ingredients that would indeed satisfy the "edible" standard, but the foods are not manufactured in human food facilities. In the rare case of The Honest Kitchen, the brand has managed to meet both of these requirements. Thus, they are legally allowed to write "Human Grade" on the packaging of their products. Because The Honest Kitchen dog food and cat food products are manufactured within human food facilities, they are held to more stringent quality control regulations. The extra regulatory requirements are great for pet owners, but we must not forget that recalls and quality control issues also occur in human foods. The human grade statement is one of the main differentiating factors between The Honest Kitchen and 99% of other pet food brands. There are many people that believe the entire human grade term is simply a marketing gimmick. We tend to disagree with those critics. 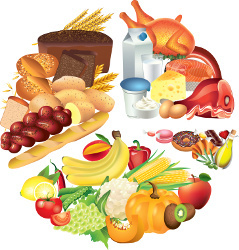 Human grade food cannot contain any by-products or 4D animals (dying, diseased, disabled or dead-on arrival). Although many brands claim that they do not use these ingredients, they typically cannot prove any proof. On the other hand, The Honest Kitchen provides solid proof by writing human grade on their packaging. If they lie about their compliance with the definition of human grade, then they could face consequence from the FDA. In essence, the human grade term is simply a quality signal. The term does not mean that The Honest Kitchen is the best pet food available or that The Honest Kitchen is nutritionally superior to any other premium brand of pet food. Is The Honest Kitchen Pet Food Safe? The way in which a brand responds to a recall is often more important than the recall itself. When The Honest Kitchen recalled five lots of dehydrated dog food, they immediately took three steps to address the problem. After the recall was issued, they (1) enhanced pathogen testing for leafy greens, (2) stop purchasing from the supplier that sold contaminated parsley, (3) decided to stream leafy greens to kill off pathogens in all products moving forward. In our option, their response was comprehensive and forward looking. Since the 2013 recall, they have not reported any other issues. Thus, we do not have any reason to question the safety of The Honest Kitchen.